Dan is co-owner of Aero Physical Therapy and Sports Medicine. He was born and raised in San Francisco and graduated with a B.S. in Exercise Sports Science from the University of San Francisco in 1999. He then went on to earn a Doctor of Physical Therapy from the University of Southern California in 2004. Dan’s professional interests, acquired through many years of training, encompass the inpatient and outpatient orthopedic settings. Seeing the patient progresses from the hospital and back to a functional, active life is what drives Dan to work hard for the people under his care. He uses an eclectic manual therapy approach of Norwegian, Australian and Greenspan methods tailored to the needs of each of his patients. Dan has been involved with athletics nearly all his life. Throughout his youth, Dan played football, basketball, baseball, weight lifting, and discus throwing. He uses his experience and knowledge as an athlete. His extensive experience and knowledge as an athlete enables him to instill in his patients the commitment necessary to developing and maintaining a healthy and productive physical life. In his spare time, Dan serves as head coach for his daughter’s youth basketball team and volunteers in his community. Geoff is co-owner of Aero Physical Therapy and Sports Medicine. He earned his BA degree in Integrative Biology at UC Berkeley in 1999 and completed his Doctor of Physical Therapy degree at the University of Southern California in 2004. Geoff employs a multidisciplinary approach in assessment and treatment of his patients. He recently completed a yearlong Australian Musculoskeletal Course. In addition, he has been trained in Active Release Techniques (ART), Graston Soft Tissue Techinques, and Myofascial Decompression Technique. As a Certified Strength and Conditioning Specialist through the National Strength and Conditioning Association, he incorporates manual skills in conjunction with therapeutic exercises to improve functional activities and sport-specific mechanics. As an avid marathon runner and triathlete, Geoff has a unique comprehension of running, cycling and swimming related injuries and training techniques. 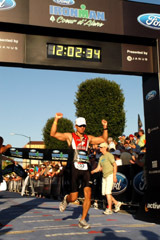 His recent accomplishments include the Boston Marathon, New York Marathon, Chicago Marathon, Marine Corps Marathon, IRONMAN Boulder and IRONMAN Santa Rosa. He was recently selected as a 2019 ambassador for Nuun Hydration and also races with TriForce Triathlon Team. Kyle is a bay area native born in San Francisco and raised in Daly City. He earned a Bachelors of Science in Kinesiology from San Jose State University in 2009 and received his Doctor of Physical Therapy degree in 2016 from New York Medical College in Valhalla, New York. Kyle has been developing his therapeutic style through appropriate movement and load trying to match what exercises will help patients reach their goals of rehabilitation. He believes that patients have better health and recovery outcomes when they are involved in the goal setting and enjoy their exercise. He is a Certified Strength and Conditioning Specialist through the National Strength and Conditioning Association and is FMS certified (functional movement systems). He has been trained in instrument assisted soft tissue mobilization with myofascial decompression (cup therapy) and Graston Technique. He is an avid sports fan of his home teams (Warriors, Sharks, Niners, Giants) but also loves watching fight sports such as MMA/UFC and boxing. Kyle is heavily into indoor rock climbing at the local Planet Granite Gyms in Belmont and San Francisco. He continues to integrate olympic weightlifting into his workouts and recently has started vinyasa yoga classes. He also enjoys hiking the bay area. Jim has been rehabbing the San Mateo community for more than 3 decades and has enriched the lives of thousands of patients with a wide variety of physical therapy dysfunctions. He has taught many community classes throughout the region while with Mills-Peninsula Hospital and has served as a mentor for hundreds of current and future physical therapists. Jim has participated in three year-long physical therapy orthopedic training programs, including the Nordic System and Australian approach. He is very competent in Australian, Nordic, Cyriax systems along with many other approaches that give him an overall electric approach. Jim loves the teaching aspect and the art of physical therapy and educating the patients on how to diagnose their presentation and aide in their own treatment. A true cyclist, you can easily find Jim cycling all over San Mateo and Napa Valley when not in the clinic. Danielle moved to the bay area from Southern California in 2009 after completing her Bachelor’s Degree in Cultural Anthropology from U.C. San Diego. She went on to receive her Doctor of Physical Therapy degree from Samuel Merritt University in 2017. Danielle’s approach to physical therapy is highly collaborative with an emphasis on understanding how a patient uses their body and identifying the best ways in which to therapeutically address barriers to reaching movement goals. She particularly enjoys helping patients find sustainable opportunities to incorporate more activity into their daily routines. Danielle is an avid hiker and enjoys backpacking in her spare time. She recently completed a 10 day, 98 mile backpacking trip in the Wrangell St. Elias Wilderness in Alaska and spends most weekends during the summer months exploring the Cache Creek Wilderness and Cedar Roughs of Northern California. She enjoys reading, going on adventures with her dog, and is quick to share a good joke. Joe has played many sports since he was a kid – mostly basketball, football, and baseball – and has been into weightlifting since he was in high school. His love for sports and fitness and his passion for helping others led him to a career as a physical therapist. Joe earned his Bachelor’s of Science in Kinesiology at San Francisco State University before earning his Doctor of Physical Therapy degree from the University of St. Augustine for Health Sciences in San Diego, CA. Joe strongly believes in the use of manual therapy, neuromuscular re-education, and other hands-on techniques to help his patients achieve their goals. His athletic and exercise background carries over into his treatments, as he also believes in the power of exercise to help his patients maximize their functional abilities. A native of San Francisco, Joe is a big fan of the Golden State Warriors, San Francisco Giants, and San Francisco 49ers. In his free time Joe enjoys weightlifting, hanging out with friends and family, and trying out new places to eat (and will be welcome to any suggestions!). Jeremy was born and raised in the Bay Area. He earned a Bachelor’s of Science in Kinesiology from the University of San Francisco in 2015 and attended University of the Pacific in Stockton, California where he received his Doctor of Physical Therapy degree in 2017. At a young age, Jeremy participated in many sports such as swimming, water polo, volleyball, and jiu-jitsu. Through sports, he developed an interest in human movement. This interest later evolved into a passion for physical therapy to maximize function, relieve pain, and optimize physical performance. Jeremy believes in incorporating patient’s goals into the process to make rehab process more enjoyable. Outside of physical therapy, Jeremy enjoys helping out with his church, music, hiking in Marin County, and exercising. Herlinda is our Billing Manager. She can assist you in any billing and/or insurance questions you may come across. Nichole manages our Burlingame clinic. She can help you with insurance questions, scheduling, and any other administrative issues you have. Jackie manages our San Mateo clinic. She is available to assist you with scheduling, insurances verification, and anything else during your care with us.